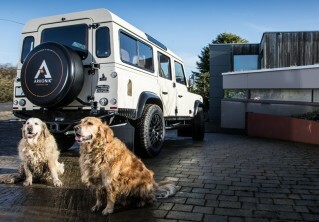 The Defender offers the ultimate in lifestyle versatility. Whilst being a great daily driver, they also make the cut when it comes to spending quality time away from the office. As a D110 with tip-up seats in the load area, FAIRWAY provides all the space you’ll need to transport everything from golf clubs and fishing equipment to snow-sports and hunting gear. The red-rimmed twin Hella® spotlights complement the Pearl White body down to a tee, accentuated by Satin Black wheel arches, Sawtooth alloys and a contemporary KBX® grille. 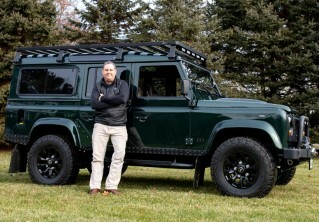 I will use it to on golf excursions with my wife and buddies. We have two grown sons and they love these type vehicles, so they are foaming at the mouth to use it as well. Check out FAIRWAY D110 Edition here or contact us for more information.